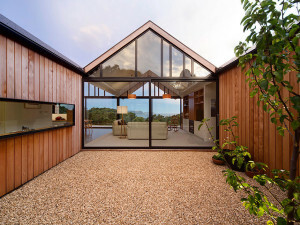 M House is the remodelling and extension of a former packing shed — the before and after pictures are shown at the bottom of this article. 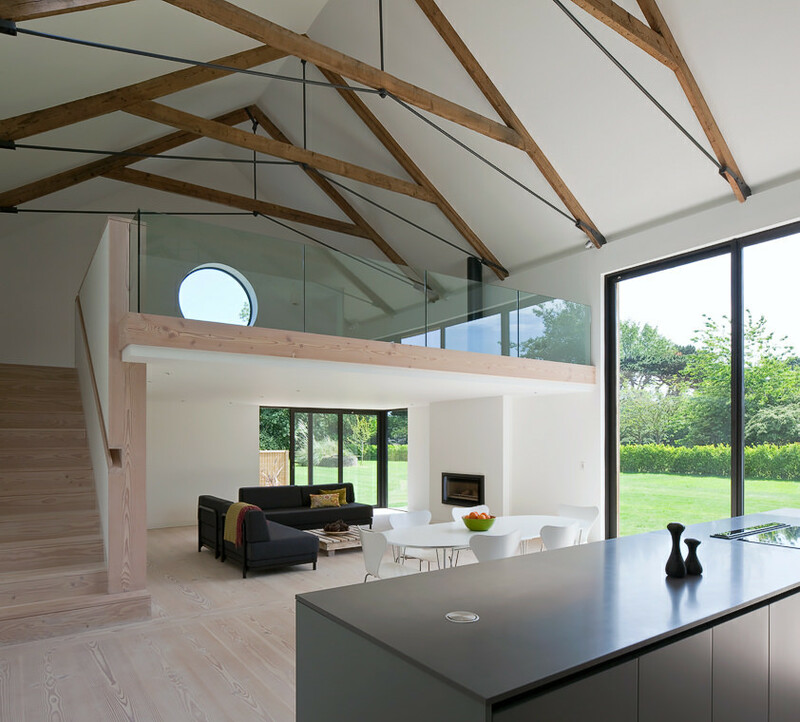 It bears a similar format to that of many rural barn conversions, with its double-height ceiling, mezzanine area, exposed A-frame structural beams and an overall feeling of complete spaciousness. 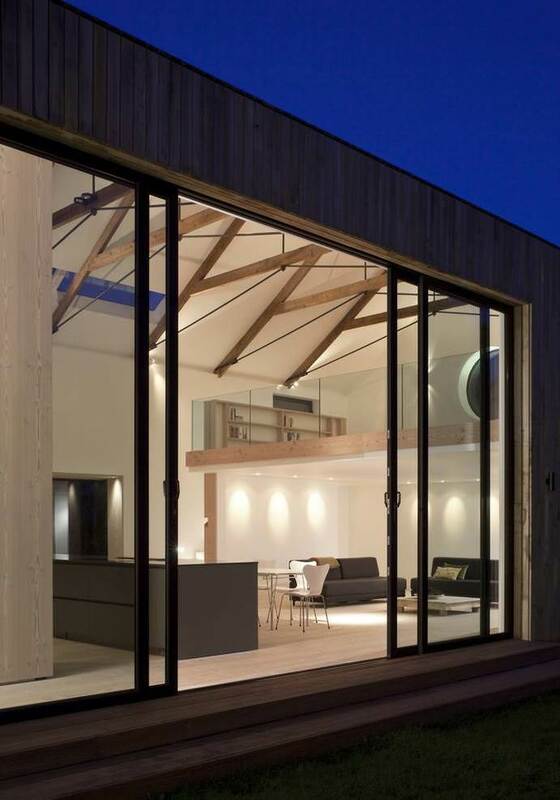 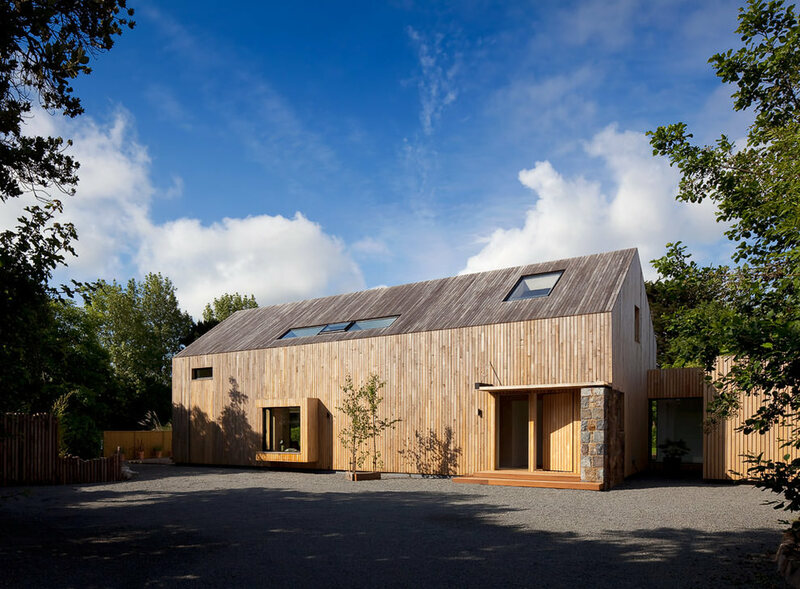 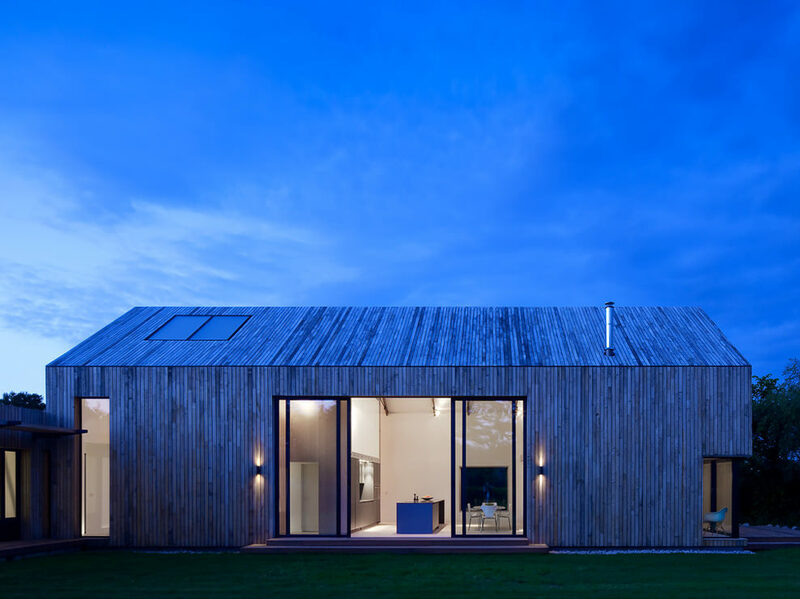 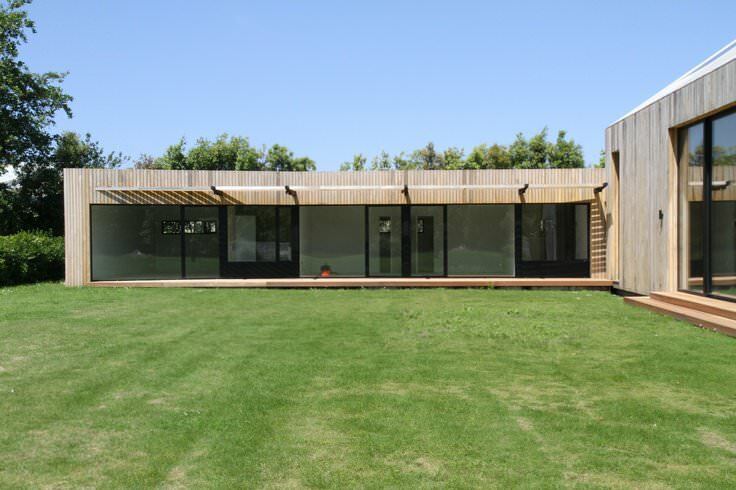 The renovation was carried out by Jamie Falla Architecture on the British Channel island of Guernsey and the entire exterior, both the walls and the pitched roof, is finished in larch timber cladding which will silver over time. 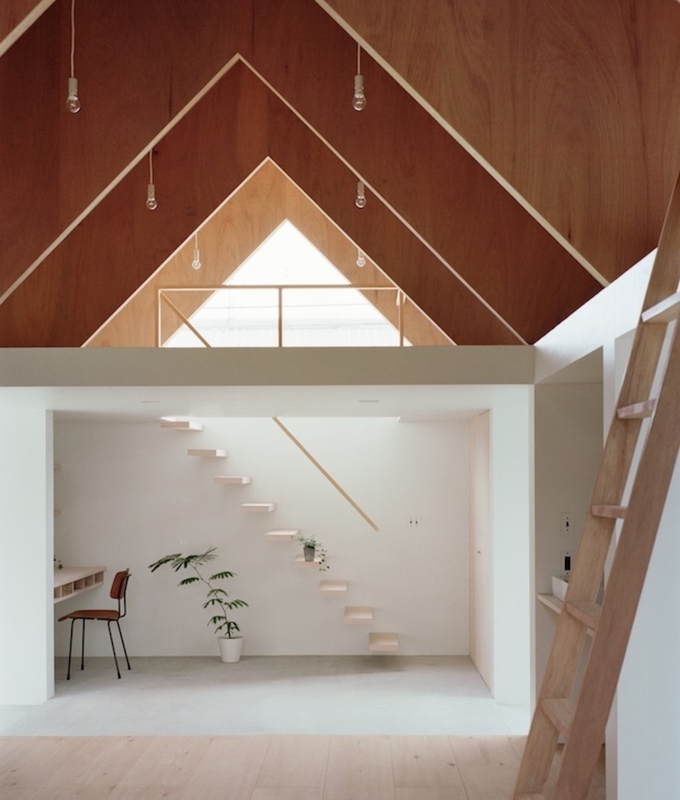 The addition of a small round window does a lot to add a homely atmosphere to an an otherwise stark minimalist interior with its perceived ‘Hobbit-y’ connotations. 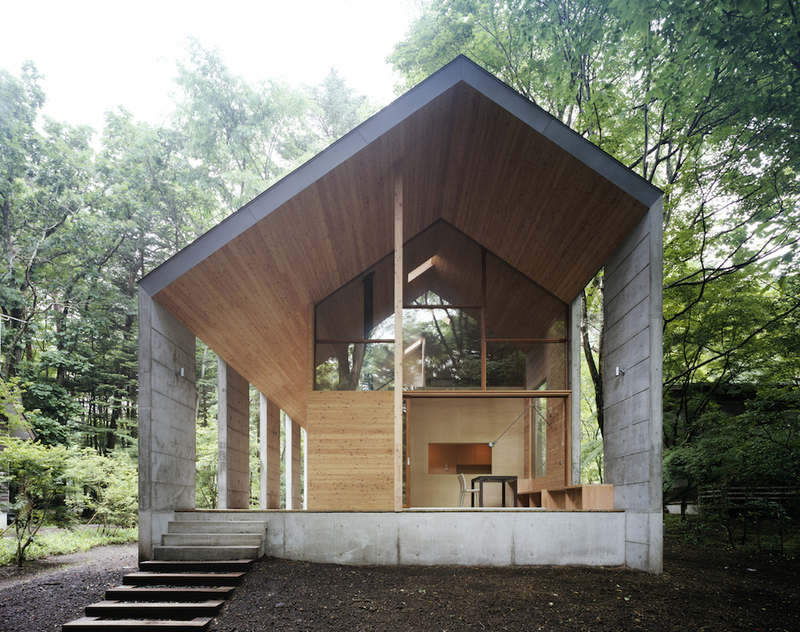 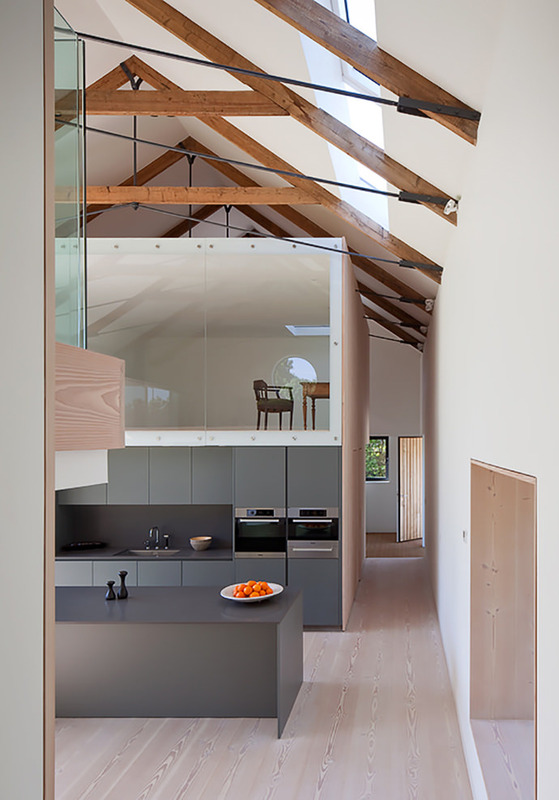 A standalone timber unit was built in the centre of the room which features the kitchen below and an office space above. 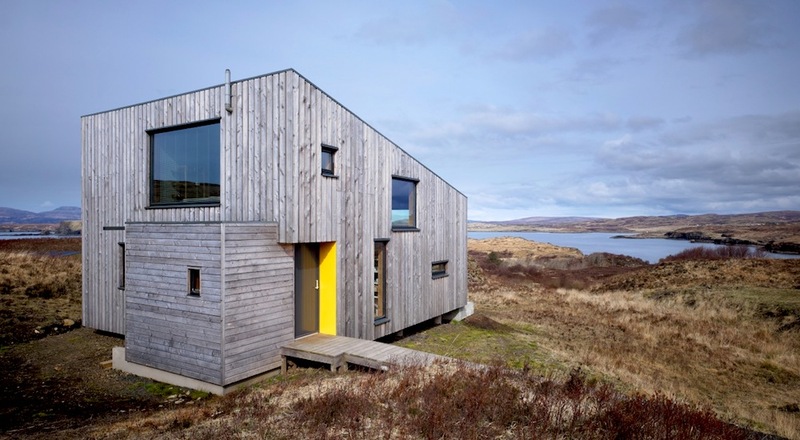 It really puts the size of M House into perspective, given that this 2 storey box is essentially the size of a small house and takes up a fraction of the space. 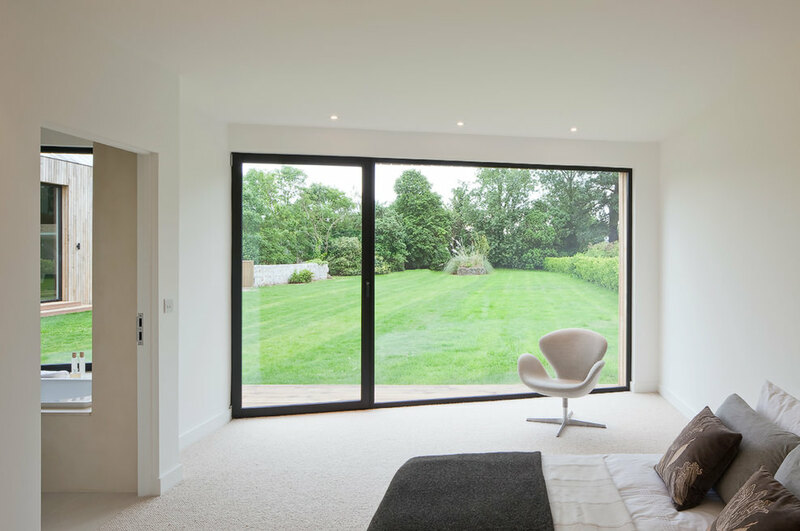 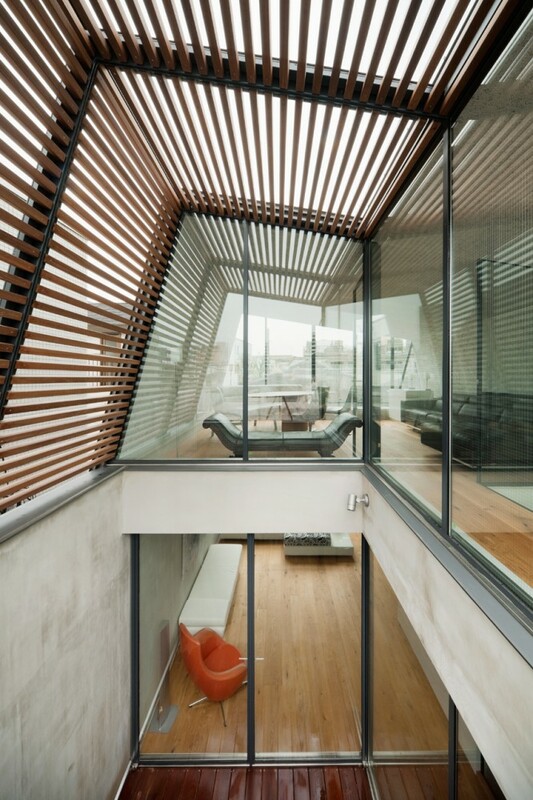 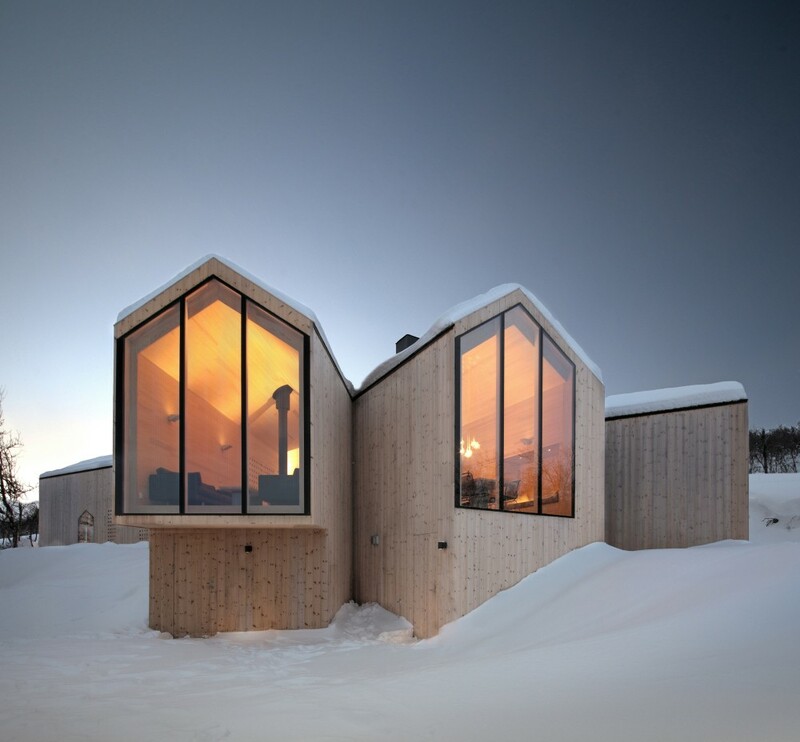 An additional wing with a fully glazed wall extends outwards from the main volume perpendicularly, and features the more private spaces such as bedrooms and bathrooms. 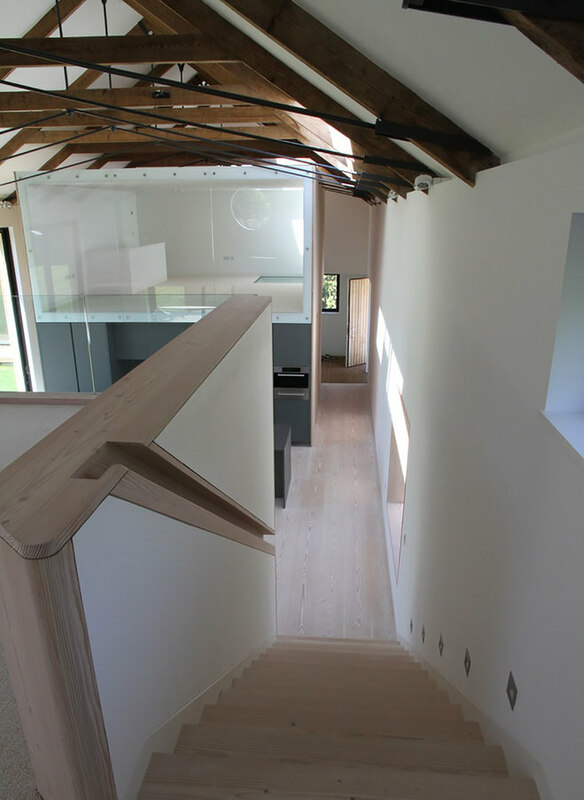 These can be awkward to efficiently fit into an open-plan rural building conversion and this appendage is a perfect solution.